Here you see my veggie beds. On the right is the one I’ve been using for the past three years or so to grow mainly tomatoes and squash. On the left is the bed I’ve never used. Full of weeds it sits, making me feel guilty every time I look at it. Today I decided to tackle those weeds. I pulled out my favorite gloves and shovel, and had at ‘er. 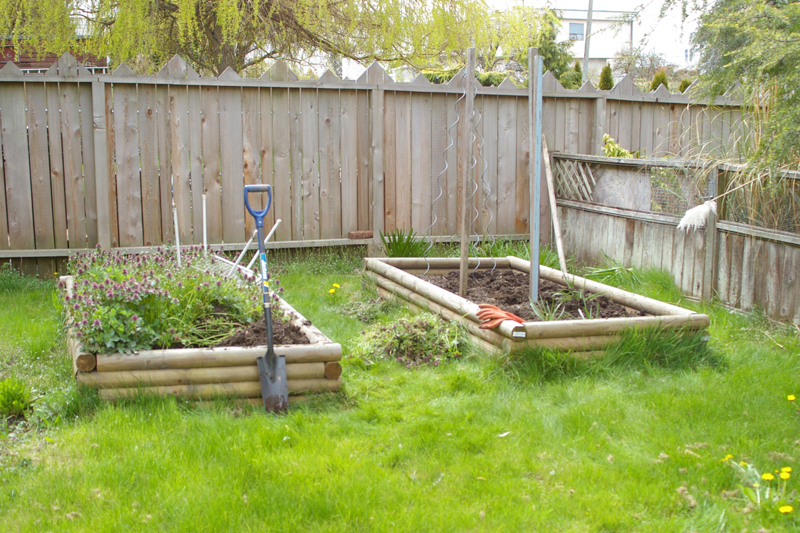 Here’s the bed, now lovingly devoid of weeds. Soon I’ll plant some squash, maybe cucumber, bulb fennel, maybe some peas or beans. The beds are 4′ X 8′ and they sit at the very back of my property. 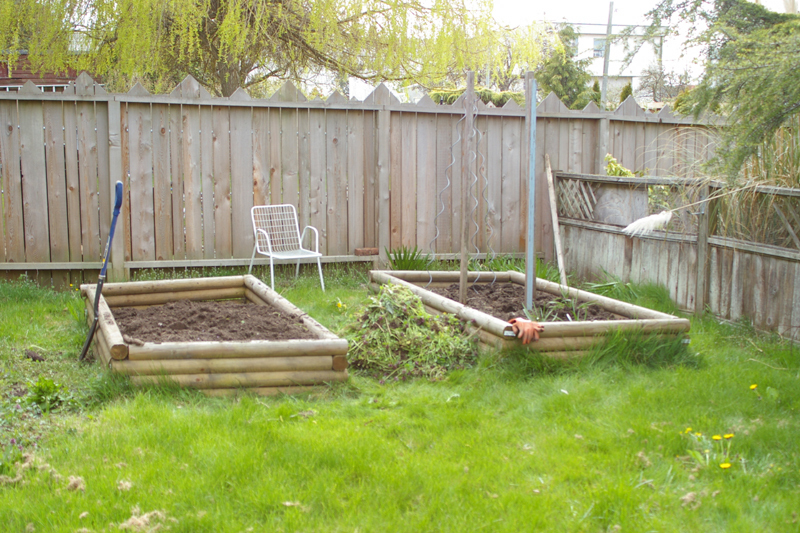 The short fence you see separates this area from the rest of the back yard, which is handy when you have a vegetable loving dog. You can see she’s broken through the fence more than once, we used old wainscoting to temporarily block the hole. She used her teeth to rip the lattice apart, sneaky dog.